First Things First: installation problems, and things you need to know. Compatibility: what devices work with FieldMonitor; compatible Panasonic and Sony cameras. Problems: all the things I know about that cause problems, and how to fix them. Need more help? What to do when nothing else here works. Is FieldMonitor not installing / not starting / crashing on your iDevice? Try restarting your iDevice. After it restarts, try FieldMonitor again. If that doesn’t work, delete FieldMonitor and reinstall it. Still not working? Contact me! FieldMonitor is a universal app: buy it once, use it on all your iDevices. If you bought FieldMonitor on one device, but you can't download it on another one without buying it again, try signing out of your iTunes account, then sign in again. That should allow you to download it at no additional cost. FieldMonitor uses Wi-Fi, and is subject to interference and frequency congestion: FieldMonitor and your source communicate using the same Wi-Fi frequencies as any other Wi-Fi devices, as well as cordless phones and microwave ovens. If you use FieldMonitor in a crowded Wi-Fi environment, it has to compete with all the other signals in the same frequency band, and you may see more network timeouts, picture freezes, and/or increased latency. Performance cannot be guaranteed: it may work perfectly in one location and not at all in another. Always have a backup plan for monitoring and control, for times when Wi-Fi isn’t usable. Turn your iDevice’s Airplane Mode on, then re-enable Wi-Fi and connect to your source. Your iDevice’s Bluetooth and phone radios can interfere with Wi-Fi communications. Move your iDevice around the source: to the left or right, above or below, in front or in back. Depending on where the antenna is in your camera and what other metallic shielding is present (camera cages, gimbal frames, jib arms, etc. ), different positions may result in very different performances. Usually you will have better results when close to the source than when you are far away, especially when using the weak radios built into cameras. Try to stay within 15 feet or 5 meters of the source. When performance is poor, you can sometimes improve it by shutting down Wi-Fi on your source and restarting it. Most cameras (and Teradeks in default configurations) automatically choose a Wi-Fi channel to use, and sometimes they pick one that’s more crowded or congested than other available channels. Restarting gives the source a chance to choose a different, better channel. If your source allows manual channel selection, try switching Wi-Fi channels. Switch from 2.4 GHz to 5 GHz Wi-Fi (or vice versa) if your source allows it. You can use a Wi-Fi scanner app on Windows, Mac, or Android to find a less congested channel, or you can just pick a different channel and see what happens. Note: most cameras and iPhone 4S can’t use 5 GHz Wi-Fi. Resetting the network settings on your source may help, either to make things work better or to make them work at all. I had an LX100 that started showing “network timeout” messages within a few seconds when connected via network, and resetting the network settings restored error-free operation. On Panasonics, use “Reset Wi-Fi Settings” in the settings menu; for Sonys try “Reset Network Set.” in the networking menu. Note: this will erase any stored network passwords, and you will have to re-enter them. Resetting the network settings on your iDevice may help, either to make things work better or to make them work at all. Use Settings > General > Reset > Reset Network Settings. Note: this will erase all stored network passwords and forget all previously-used networks, so only try this as a last resort. “network timeout” usually occurs when communications fail due to low signal strength, network congestion, or interference — or the source gets turned off. Sometimes the timeout clears up by itself; other times you may need to switch Wi-Fi networks, move away from microwave ovens and cordless phones, or make sure other network users aren't hogging bandwidth. Try turning off Max Resolution for your camera (in FieldMonitor’s settings) to reduce bandwidth requirements. Also try returning to the Source screen, tapping Refresh, and reconnecting to the source; network timeouts can get the source out of sync with FieldMonitor, and reconnecting restores sync. If nothing else works, try resetting network settings as described above. For best results with a Panasonic or Teradek, use a separate, high-performance Wi-Fi Access Point, ideally an enterprise-grade unit. Panasonic calls this connecting “via network”; Teradek calls it “client” or “infrastructure” mode. In a congested radio environment, you may not be able to work successfully unless you use a high-performance access point with beam-forming or beam steering and good interference rejection. I've had great results using Panasonic GH5s with a Ruckus Unleashed R310 on 5GHz channels, but not on 2.4GHz channels: Panasonics and Ruckus don't play well together at all on 2.4GHz. Sometimes, changing the iDevice you use can help. Some users report that switching from an iPhone to an iPod touch gave better results; others switched from one iPhone to another. If you're using a Panasonic with an electronically-coupled lens in manual focus mode: Turning the focus ring (a) while image magnification is on or (b) while the camera’s MF Assist is set to magnify the image when the focus ring is turned causes the camera to become “busy”, and it can't be controlled from FieldMonitor until a button on the camera itself is pressed. To prevent this, turn FieldMonitor’s “Panasonic Image Mag” setting off, and change the camera’s “MF Assist” setting to off or AF Mode only, so that it is not triggered by turning the focus ring. You need a compatible Panasonic Lumix camera, Sony camera, or a Teradek H.264 transmitter (Cube 100, 200, 500, or 600 series, Clip, or VidiU) to use this app. Without a supported Panasonic, Sony, or Teradek, this app doesn't do anything useful! Any DC- or DMC-series Panasonic camera usable with Panasonic’s Image App should work. Make sure your camera supports live view while recording when using Image App before trying FieldMonitor. Most Sony Alpha, HX-, WX-, or RX-series cameras usable with Sony’s Imaging Edge Mobile should work. Make sure your camera supports live view while recording when using Imaging Edge Mobile before trying FieldMonitor. FieldMonitor displays the H.264 feed from a Teradek Cube, Clip, or VidiU. Uncompressed video from a Bolt is not supported. H.265 / HEVC compression (Cube 700 and 800 series) is not supported. Serv and Serv Pro are not supported. DC-GH5, DC-GH5S, DC-G9, DMC-FZ1000, DMC-FZ2500, DMC-FZ300, DMC-G7, DMC-G85, DMC-GH4, DMC-GX7, DMC-GX8, DMC-GX85, DMC-LX10, DMC-LX100, DMC-ZS60, and DMC-ZS100. Other DC- and DMC-series cameras that work with Panasonic’s Image App should work with FieldMonitor. Make sure your camera supports live view while recording when using Image App before trying FieldMonitor. As I learn of other cameras that do (or do not) work with FieldMonitor, I will update this list. If you test a camera not on the list, please let me know if it works or not. Panasonic GH3 and earlier cameras do not support remote control or monitoring while recording video. 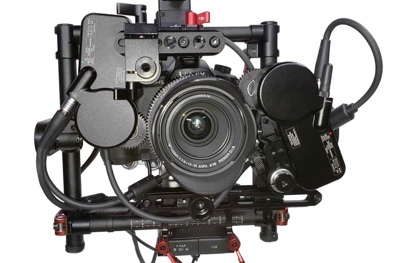 Cine cameras like the DVX200, EVA-1, and VariCam are not supported. Camcorders like the HC-WXF991 are reported to show a picture, but controls do not work. With a GH5 (and possibly other cameras, like the G9 and GH5S), disconnecting FieldMonitor causes the HDMI output to go black for five seconds, ten seconds after disconnection (when the camera would normally display “Not connected to the app” on its LCD). I also have one report that connecting Image App to or disconnecting from a DMC-G7 while it's recording externally “disables / interferes with recording”. I haven’t been able to replicate this with a GH4 or LX100. Nonetheless, avoid disconnecting / reconnecting while external recording is in progress, whatever camera you use. Most Panasonics display peaking over Wi-Fi only while not recording. Use FieldMonitor’s Focus Assist feature instead. Peaking, focus magnification, PinP / FULL, and AF buttons are only available in manual-focus modes. Audio monitoring and metering are not possible. Cameras do not transmit audio or audio-level information over Wi-Fi. Some Panasonics (including the LX100 and G7, but not the GH4 or GH5) blank their EVF or LCD 30 seconds after recording starts when a Wi-Fi remote is used. There does not seem to be a way to prevent this. ILCA-99M2, ILCE-7M2, ILCE-7M3, ILCE-7RM2, ILCE-7RM3, ILCE-7S, ILCE-7SM2, ILCE-9, ILCE-5100, ILCE-6300, ILCE-6500, DSC-HX60/V, DSC-HX80, DSC-HX90/V, DSC-HX400/V, DSC-WX500, DSC-RX10M2, DSC-RX10M3, DSC-RX100M3, DSC-RX100M4 and DSC-RX100M5. Many of these are “Smart Remote” cameras (A5100, A6300, A6500, A7Rii, A7S, A7Sii, etc.) and need to have the free “Smart Remote Control” installed from the PlayMemories Camera Apps Store to be fully controllable. With only “Smart Remote Embedded’ installed, you can only adjust exposure compensation. Ctrl w/ Smartphone cameras (A7iii, A7Riii, A9, A99ii, etc.) allow Picture Profiles and S-Log shooting (when S-Log is available) in Wi-Fi remote mode. “Smart Remote” cameras (A5100, A6300, A6500, A7ii, A7Rii, A7S, A7Sii, etc.) do not allow the use of Picture Profiles in Wi-Fi remote mode. You cannot shoot in S-Log2 or S-Log3 while using Wi-Fi on these cameras. S&Q (high frame rate) shooting is not possible while using Wi-Fi on these cameras. Focus points cannot be repositioned in movie mode. “Ctrl w/ Smartphone” Sonys (A7iii, A7Riii, A9, A99ii, etc.) do not transmit focus area, battery level, or storage space info over Wi-Fi. FieldMonitor will not show the focus area, battery level, or storage information for these cameras. You cannot reposition their focus points over Wi-Fi. The AF button may or may not work depending on the camera’s settings; the camera does not send enough status information over Wi-Fi for FieldMonitor to know when the button can be used. Sony A7, A99, A6000, A5000, NEX series, and earlier cameras do not support remote control or monitoring while recording video. Cine cameras like the FS5, FS7, and F55 are not supported. Camcorders are not supported. FieldMonitor does not have a control to switch shooting modes. If your Sony does not have a mode dial to choose between still and movie modes, you can't change those modes using FieldMonitor. Camera peaking and focus magnification are not available over Wi-Fi, and FieldMonitor will not display those controls when controlling a Sony. My source doesn’t appear in the Source list! Check to make sure you’re on the same wireless network as your source (the app’s current Wi-Fi network is shown at the top of the Source screen). Make sure your source has its Wi-Fi function turned on. Tap Refresh to rescan the network. On iPhone or iPad with cellular, try turning Airplane Mode on, then re-enabling Wi-Fi, and reconnecting (or, turn Cellular Data off). Try turning Wi-Fi off, then on again. If your source restarts or its network has changed, FieldMonitor may get confused. Try tapping Refresh, closing and re-opening FieldMonitor, or turning Wi-Fi off and then on again. Sometimes it takes a while for a Teradek to appear in the list. Try waiting a bit after starting the app. If your Teradek has just been turned on or reconfigured, it may take a minute for it to fully start up and appear in the Source list. Only Teradek’s H.264 Wi-Fi encoders can be used: Cube, Clip, and VidiU. FieldMonitor can’t decode uncompressed video from Bolt transmitters. If all else fails with a Teradek, try factory-resetting it. If all else fails with a camera, try turning it off, removing and reapplying its power source, and restarting it. I can’t connect / no picture ever appears! Tap < Source to return to the Source Screen, then tap the source again to reload the Monitor Screen. Camera: if the camera is in playback mode, switch it back to live mode. Camera: try restarting its Wi-Fi. If all else fails, power down the camera and remove its battery or disconnect its AC adapter. Then supply power, restart the camera, and try again. Teradek: only certain Teradek H.264 Wi-Fi encoders can be used: Cube, Clip, and VidiU. Only Quickview, RTP/RTSP, and TDS streams can be decoded. FieldMonitor can’t display uncompressed video from Bolt transmitters, or H.265 / HEVC from Cube 700 or 800 series transmitters. Teradek Serv is not supported. Cube: only H.264 Quickview, Teradek Stream (a.k.a. TDS), and RTP/RTSP streams are supported. Quick fix: enable Quickview streaming on your Cube, and turn Quickview ON in the app. Cube: if UDP Multicast is enabled, enable Quickview on the Cube and turn Quickview ON in the app, or the app will never connect. Cube: RTSP stream is password-protected. FieldMonitor can’t receive a password-protected RTSP stream. Either turn off RTSP authentication, or enable Quickview on the Cube and turn Quickview ON in the app. Cube or Clip: TDS streams don’t play: make sure your Cube or Clip firmware is up to date (some older firmware versions no longer detect when updates are available; check the Teradek website directly). TDS streams are tricky; it sometimes takes many attempts before they’ll play, and sometimes you need to reboot the Teradek before it’ll connect. If you can use RTP/RTSP or Quickview, those tend to connect more reliably. There are no camera controls / controls are missing / controls don't work! Make sure Camera Controls are turned on in the Settings menu. If Camera Controls are set to be hidden on a screen tap, try tapping the screen to make them reappear. If your camera is in full AUTO mode, you won't be able to control exposure or white balance. Change the camera’s mode to P, A, S, or M instead. Some Panasonics won’t show all their controls, and some controls won’t work, if Wi-Fi is turned on while the camera is connected to an HDMI monitor. Connect to Wi-Fi first, then plug in your HDMI monitor. If you are connected to a Teradek source, there aren't any camera controls. Using a Sony with FieldMonitor version 4.4 or earlier? Please update FieldMonitor to the latest version. Sonys only let me adjust exposure compensation! Smart Remote Sonys ship with a very limited "Smart Remote Embedded" remote control capability. You'll need to install the “Smart Remote Control” app on the camera from the PlayMemories store before you get access to all the controls you're expecting. Smart Remote Sonys: when you set the mode dial to Movie, wait a few seconds. The "Movie mode" screen appears on the camera. Press •OK, not the shutter button. You’ll get a screen where you can choose the exposure mode. When you’re already in Movie Mode, press MENU, go to page 5, press Movie, and choose the exposure mode you want. Ctrl w/ Smartphone Sonys: Press Fn, select Exposure Mode, and choose the exposure mode you want. FieldMonitor may show an AF button when in MF mode because some Sonys don't report when they're in MF mode. Make sure the camera is not in MF mode if you want to use the AF button. Make sure the camera’s AF w/ shutter setting is On. If AF w/ shutter is off, the lens will not focus when AF is tapped. This happens with Teradek feeds if you slide Control Center or Notification Center over the app, or use Slide Over or Split Screen on iPad, or turn your iDevice off and on again while FieldMonitor is running. Wi-Fi connection to the source is lost or weak. Go back to the Source screen and re-select your source to restart the video. If the screen says ”camera in play mode”, switch the camera back to live mode. Picture freezes every few seconds: radio interference can cause periodic freezing of the video stream. Some Sony cameras freeze every few seconds if your iDevice's Bluetooth radio is enabled. Turn your iDevice’s Airplane Mode on, then turn Wi-Fi on. This disables both Bluetooth and cellular radios, and is recommended at all times for best performance. Picture updates slowly, or the image is delayed by more than a fraction of a second: Try selecting a lower Refresh Rate or turn ’scopes OFF, to free up more time for image decoding and display. If that doesn’t work, try reconnecting to the source; exiting and re-opening the app; restarting your source; moving your iDevice closer to the source; reconfiguring the Wi-Fi network to minimize congestion (try switching between 2.4 and 5 GHz bands; however most cameras and iPhone 4S can’t use 5GHz Wi-Fi) or to increase range (usually better with 2.4 GHz channels). If you're using a camera, try turning Max Resolution off. Higher resolution streams have more latency and lower frame rates. Sony Wi-Fi normally updates slowly for the first few seconds while the camera transmits initial status information. Once that transmission is completed, the update rate improves. If you’re using a Cube, try using Quickview instead of TDS or RTSP streams, or try reducing the resolution of your feed from 1080 lines to 720 or 480 lines. ’Scopes update slowly: Try selecting a higher Refresh Rate (but note that faster refreshing uses more power and may cause the picture to break up or displayed frame rate to suffer, depending on your iDevice). Picture quality is poor (pixellated, torn, blocky, intermittent freezes, etc. ): Poor signal quality, overloaded Wi-Fi network, distance between source and receiver too great, and/or overworked iDevice. FieldMonitor’s Wi-Fi connection has to compete with any other Wi-Fi signals in the area. Try these Wi-Fi troubleshooting tips. Older, slower iDevices may not be able to handle a high workload: when the ’scopes take too much time, picture quality suffers and image decoding can fail or fall behind realtime updates. Turn Quickview ON (for Cubes) and Max Resolution OFF (for cameras), set Refresh Rate to its minimum value (about 2 fps), and show only a single ’scope, or none, instead of all three. If you’re then able to receive a clean picture, try gradually increasing Refresh Rate. With Quickview ON / Max Resolution OFF, a slow refresh rate, and a single ’scope or none at all, FieldMonitor can be used successfully on an iPod touch 5G, iPhone 4S, or iPad 3. Newer, more powerful iDevices will work better, show more ’scopes without problems, and update their displays faster. There's no false-color settings button : You need an iDevice with an A7 or later processor to show false color: iPhone 5S or later, iPod touch 6G or later, iPad Air or later, iPad mini 2 or later, or iPad Pro. On earlier devices, consider using a false-color LUT instead. If you're looking at a Teradek feed from a hybrid camera (one that shoots both stills and video), level changes reflect what the camera is actually putting out over HDMI or SDI. Often the signal is full-range (0–255 in 8-bit terms, or -7% to 109% on the WFM) when in standby, and legal (16–235, or 0% to 100%) or extended (16–255, 0% to 109%) while recording. Check your camera’s operating instructions for more details. There’s no audio! Camera sources don't transmit audio or any audio-level indications. Teradek sources supply audio: make sure the Teradek is set to transmit audio, that it is receiving an audio signal, that your iDevice isn't muted, and that your iDevice’s volume isn't all the way down. Camera’s EVF and LCD go dark when Wi-Fi is used! Many cameras turn off the EVF and LCD when HDMI or A/V Out is connected and active. Disconnect external monitors, or monitor using the attached device. GH4: The DMW-YAGH Interface Unit acts as a connected HDMI device and turns off the EVF / LCD when Wi-Fi is used. Remove the DMW-YAGH Unit, or monitor using its SDI output instead. GH5: Wi-Fi is set to “Smartphone priority”. Go into the camera’s menus: Settings > Wi-Fi > Wi-Fi Setup > Priority of Recording Device, and select "Camera" if you want the camera‘s EVF/LCD and controls to stay active. I can’t use Panasonic Wi-Fi with 10-bit recording or output! The GH4 does not allow 10-bit output and Wi-Fi connection at the same time (the GH5 does allow 10-bit recording or output with Wi-Fi running). Other cameras may differ. If 10-bit is disabled in the camera’s menus when Wi-Fi is on (or vice versa), then it can't be done. Sorry! “camera busy” means the camera is being operated directly, or a menu is open. Make sure the camera is in normal operating mode (try half-pressing the shutter release). Panasonics can get stuck in “camera busy” mode with image magnification turned on when an electronically-coupled lens’s focus ring is turned in manual focus mode. The only way to free up the camera is to press a button on the camera itself. To prevent this, turn Panasonic Image Mag off in FieldMonitor, and set the camera’s MF Assist to "off" or "AF Mode" only, so that it is not triggered by turning the focus ring. “network timeout” occurs when communications fail due to low signal strength, network congestion, or interference — or the camera or Teradek gets turned off. Sometimes the timeout clears up by itself; other times you may need to switch Wi-Fi networks, move away from microwave ovens and cordless phones, or make sure other network users aren't hogging bandwidth: troubleshoot Wi-Fi issues. Also try returning to the Source screen, tapping Refresh, and reconnecting to the source; network timeouts can get the source out of sync with FieldMonitor, and reconnecting restores sync. Generally speaking, two cameras can be actively transmitting 640x360 streams on the same Wi-Fi network at the same time, but three will cause timeouts to occur on some or all of the streams. Controls shows you FieldMonitor's buttons, gestures, and settings, and explains how they work. How To... describes how to use FieldMonitor and shows some examples. Details & Info talks about how FieldMonitor works and what its limitations are, gives tips and tricks for using it, and lists the open-source libraries used and where to find them. If none of these solve your problem, please contact me!